NYC Has Just 5 Statues Of Historic Women. That's About To Change "We set out to correct a glaring inequity in our public spaces," said Chirlane McCray, the first lady of New York City. A number of cities are taking steps to honor women with statues and public art. The push to remove statues that honor figures or causes that don't square with modern mores has been accompanied by efforts, like New York City's, to erect more monuments to women and minorities. As KQED reported, San Francisco recently introduced a policy requiring that women comprise "at least 30% of nonfictional figures depicted or commemorated in statues and other works of art on City-owned property, public building names, and street names, be women." The city council of Washington, D.C., is considering legislation that would fund a statue of a Washingtonian woman or person of color in each of the city's eight wards. Chisholm was elected in 1968 to represent New York's 14th Congressional District, including Brooklyn's Bedford-Stuyvesant neighborhood. She went on to run for the Democratic party's nomination for president in 1972. Before her election to the New York state assembly in 1964, she worked as a nursery school teacher and then a consultant to the city's day care division. "She fought for Head Start, an early education program begun under President Lyndon Johnson. During her seven terms in office, she co-founded the Congressional Black Caucus, advocated for the Equal Rights Amendment and supported the 1972 Title IX amendment aimed at ending discrimination against women in federally funded education and sports programs." President Barack Obama awarded Chisholm the Presidential Medal of Freedom posthumously in 2015. "There are people in our country's history who don't look left or right, they just look straight ahead," Obama said. "And Shirley Chisholm is one of those people." 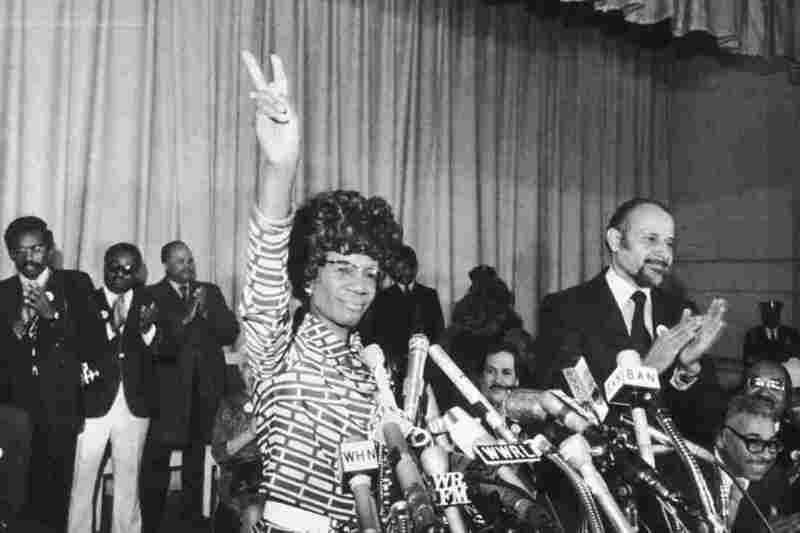 The plan to dedicate a statue of Chisholm was announced on Friday, her birthday — and 50 years after her election to the U.S. House of Representatives. Her likeness will stand at an entrance to Brooklyn's Prospect Park. "We set out to correct a glaring inequity in our public spaces," Chirlane McCray, the first lady of New York City, told the Times. She said Chisholm had inspired many women to run for office. "I hope that putting up the statue now will encourage even more."